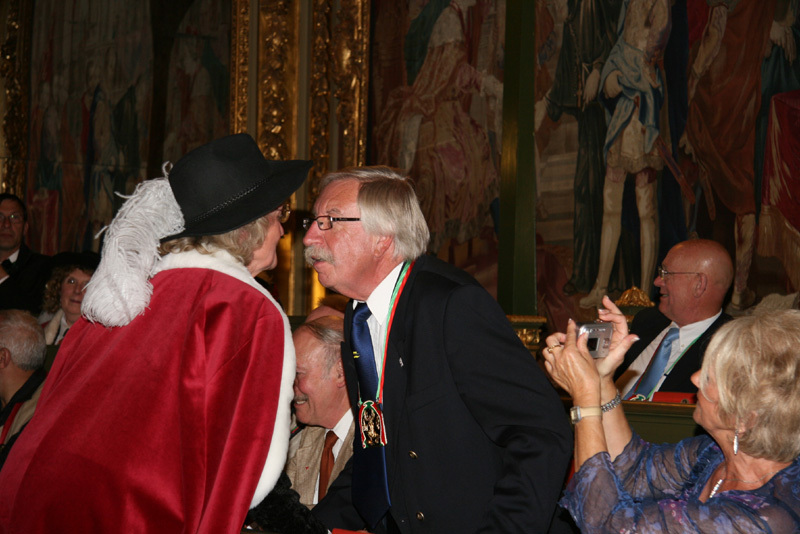 Mrs. Marthe Coeckelenbergh and Mr. Willy Dupon. He just became honory Squire of the Order, a first for a native of Antwerp. Mr Dupon is the President of the European Moustach Club of Antwerp.